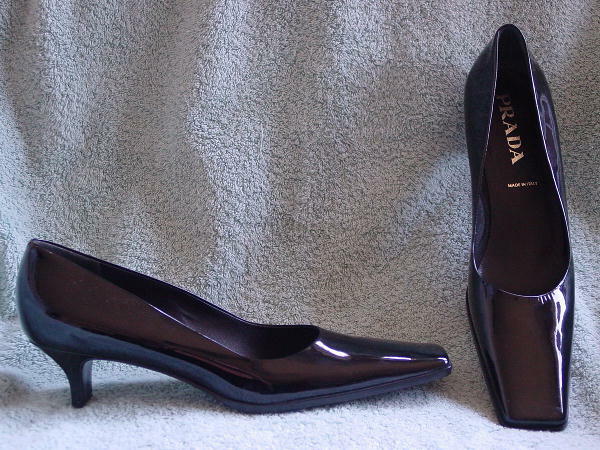 These never worn black patent leather pumps are by Prada and were made in Italy. They have black leather linings and insoles. The leather smells good too. 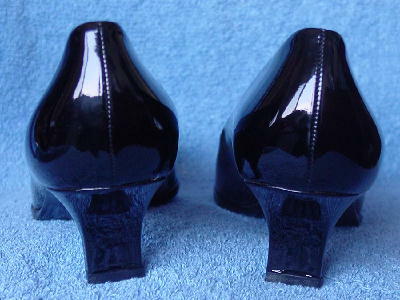 They have modified concave kitten heels and a long vamp with square toes. Her boyfriend bought these and another pair as a present. She wears a size 9.